Coimbatore : The District Collector of Coimbatore, K Rajamani appreciated a 8-year old boy from the Ganapathi area in the city who sketched and painted 1050 drawings that stressed on 100% voting. 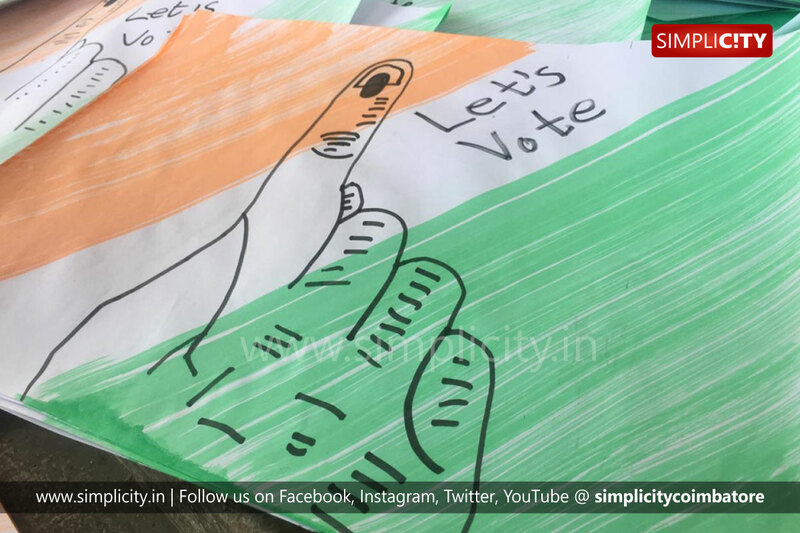 Dharshan, a Class 2 student of Stanes School who is the son of Sakthivel and Anitha residing in Ganapathi here, sketched and painted his 1050 drawings to highlight the importance of 100% voting. The 8-year old exhibited his drawings to the District Collector who was highly appreciative of his efforts. "All the drawings are done in water colour and it took a time span of seven days," explained a proud Dharshan.